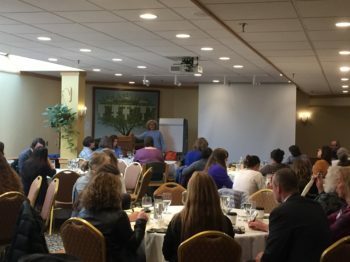 What are the Vermont Crime Victim Service Awards? As the field of victim services has grown over the years, so has the number of remarkable individuals and organizations who significantly contribute to its success. Today, the field includes countless people and programs that have, through vision, action, dedication and leadership, improved the lives of victims in the aftermath of crime. These awards recognize victim activists who have inspired us through their acts of courage and compassion, programs or individuals whose work has been particularly innovative and pioneering, and those who exemplify the long-term commitment that characterizes many of Vermont’s victim service providers, some of whom are themselves victims of crime. The award winners will be honored at a special ceremony held during National Crime Victims Right’s Week; April 7 to 13, 2019. The ceremony is free, open to the public, and all are welcome. The theme this year is “Honoring Our Past. Creating Hope for the Future” The Awards Ceremony will be held on Monday April 8, 2019 in Montpelier VT. Some of these awards are given out annually, some only when appropriate; but all awards will be solicited each year. Up to two awards can be given in a category when the Selection Committee has difficulty choosing between candidates. For a volunteer, professional or program who, outside of the course of performing their regular duties, has advocated for a victim centered policy, implemented practices that have created significant changes for victims: specifically a person/program that has made a significant impact in support of victims, in policy revision, promotion of best practices within victim services or helping professions, crime/violence prevention; including activities that enhance offender accountability, community response to violence, and/or community outreach and education. 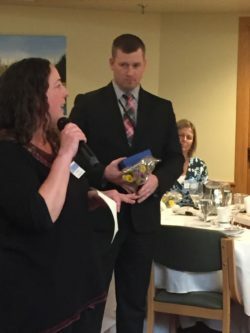 Awards to legislators can be given at the discretion of the Selection Committee with input from the Vermont Center for Crime Victim Services. Note: Staff and Board members of the Vermont Center for Crime Victim Services are not eligible to receive awards, but they can submit or support a nomination. Last year’s award winners are invited to be on the current year’s selection committee, so they are also not eligible to make a nomination this year. An individual, a program OR a coalition, task force or collaborativeWhat are the qualifications for nominees? Victims of crime, professionals or volunteers in either direct victim services or allied professions, or community members who have demonstrated innovation, excellence and/or commitment in providing services to victims of crime. The nominee has demonstrated creativity in their actions on behalf of victims. The nomination or letter of support was submitted by a victim/survivor. More than one person nominated the candidate. The writing skills of the nominator are not to be considered as a factor in the decision. The selection committee will try to select award winners who have made a positive impact on a variety of types of crimes, such as homicide, domestic violence, sexual assault, child victimization, work with underserved victims, hate crimes, assault, property crime, DUI, and arson. Nominations MUST be received no later than Friday, March 15, 2019 by 4:30 pm.